Make 5 beautiful cards getting the cutting guide and instructions to go with it electronically. I’m ready to mail out a bunch via Happy Mail. Pretty In Pink Sale is coming to a close as February ends. Don’t forget if you join my team this month, you’ll get the “Color of the Year” Bundle FREE! Free Card Kit when you purchase the February SOM S1802 Sunny Thoughts for $5.00 with a $50.00 purchase. I have an album of art up in the FB group. – Check it out. Pretty In Pink. All things pink are on sale this month, 25-30% off. Single items and bundles are available. Check it out. Join My Team in January and get a The Color of the Year Bundle . There are a few other freebies, including this 5-Card Kit, Design Space files, and incentives offered to only my first downline. Contact me to find out. =) Check out this blog post. Featured Paper Packs: Making Waves and Whimsy Fundamentals. Check out my FB group to see art made by myself and other talented artists. Happy Mail Club: With online orders over $25.00 of product, you will receive workshop guides (see the FB Group for the album) and more. Check it out. Check out CLEARANCE! It rocks right now!! Thanks for stopping by to checkout my creative world. It’s crazy that today is the last day of February and all of these great specials! Have questions? I’m here to help you out – email me: info@lindacreates.com. Wow, what a crazy flash sale and I’m so glad to see so many take advantage of a great sale. Creating this Sunshine Thank You was so much fun and easy too. Using Design Space and an overlay from ArtBooking and the February SOM Sunshine Thoughts, you are ready to go. The overlay actually has a sun on it. Do have the stamp pop out, it’s covered up. Using Black on this layout, the bright Tangerine and Lemon cardstock really stands out. Use 3D Foam tap to give dimension to the card and have the sentiment pop up. Purchase the February SOM for $5.00 (with a $50.00 order) and get this free Card Kit, cut and ready to stamp! Thanks for stopping by to checkout my creative world. You all make my business and I’m grateful for you. You are the sunshine thank you! Have questions? I’m here to help you out – email me: info@lindacreates.com. All of the CTMH Cricut Cartridges are on sale! =) Can you say amazing!! $69.30 each! That’s 30% off! There are 700 images on each cartridges which means it’s $0.10/images. In Design Space, you can pay $0.99 and up for an image!! If you don’t have these cartridges, you can’t miss out on this deal! Did you see the Liquid Glass for $5.57 vs $8.00? Another must have in your crafting supplies! Check out the Ribbon Bundle, Mini Stapler Bundle (if you love my Studio Sus Workshop, you need to have this one), Glitter Paper Bundle (our glitter paper cuts the best in the Cricut) and other tools. Check out the “Reflection” pattern guide. If you are starting out scrapping or looking for great ideas, this is the must have book for you. Need some bling? Look at the “All about the Gold” Bundle. Carousel bundle for $80.19! Scrapbook bundles, page protectors and more! Amazing deals today until 5:00 pm EST!! Happy Mail Club: With online orders over $25.00 of product, you will receive workshop guides (see the FB Group for the album) and more. Check it out. Check out CLEARANCE! It rocks right now!! Thanks for stopping by to checkout my creative world. Have fun with the Cricut Cartridges Sale plus all the other goodies in this Flash Sale. Remember, it’s today only. If you need some creative help, I’m here to help you out – email me: info@lindacreates.com. Flash Sale Starts Friday, February 23 – today, at 5:00pm EDT/3;00 pm MST!! The sale features a mix of current and retired products, and CTMH has a limited number of these items set aside for the sale. – It’s possible that they will sell through several of the items in the sale. Once they do, those items will no longer be available, so shop early! Any current items that sell out during the sale will return to availability at normal price once the sale has ended. Shipping and handling is based on the full retail value of the sale items. There is no grace period for ordering sale items. Thanks for stopping by to checkout my creative world. Have fun with the Flash Sale. I can’t wait to see what’s going to be on sale. If you need some creative help, I’m here to help you out – email me: info@lindacreates.com. If you purchase the Enchantment Paper Pack, you can 120 cards with the directions and cutting guide. You can change up the sentiments like I did so you’ll be covered for many different occasions or make them all one theme, like birthdays. When you have 120 birthday cards around, you’ll be ready for any birthday. Thanks for stopping by to checkout my creative world. If you are interested in purchased an Enchantment Card Kit, contact me. If you need some creative help, I’m here to help you out – email me: info@lindacreates.com. Rest and Relax but don’t miss out! This layout was inspired by a layout made by my friend Jennifer Smith. You can check her layout here. The file for this does not open but I created my own and will share at the end. Using the Make Waves Workshop Your Way, this is the first of three layouts I’m creating using the CTMH Cricut Cartridges, especially You Are Here. This is done with the Make Waves Workshop Your Way plus some extra cardstock – Bashful, Pacifica, Charcoal, Vellum, Black, Willow, Emerald, Espresso, Lemon, and Glacier. I used Glimmer Mist from Tattered Angels to create the splatter effect on the papers. You can make your own mist with our bottles which normally I do when I don’t want it to be shimmery. I’ve run out of the pearl paint we used to sell to make it all shimmery and have yet to find a good replacement for it. Any suggestions? Love the layers in here between the all the elements. The clear Shimmer Brush adds some fun to the angel fish. The eyes are done with Black Pearl Paint. The Make Waves Shimmer trim is just amazing. There are three different shades of the tropical blue-greens you see in the oceans down around Florida. Use a piercing tool to put the crease the palm trees and ink to distress those edges so they show up. Such a simple way to give dimension to the leaves. Scalloped Shells are made with Bashful and Pixie Cardstock (both on sale right now). Shadowing in them is from the Bashful Shimmer Brush. What I did not have pictures of is the added bling put on after the layouts were photographed. I put the Bashful Pearls on the shells and used several of the glitter gems from the Make Waves Sequins and Gems collection all through the layout. It was the perfect finishing touch. Note on this. I create my layouts with all the cuts. I don’t cut the square and rectangle pieces because I can cut them more economically with a straight edge cutter. Just hide the pieces you don’t want to cut. Thanks for stopping by to checkout my creative world. Hope this layout brings back some great memories of you being able to relax on an island vacation! If you need some creative help, I’m here to help you out – email me: info@lindacreates.com. Step Right Up, get this special, and an Urgent Alert! Or you can purchase the set as part of the Step Right Up bundle that pairs the stamp with 12 paper sheets—including 10 cardstock sheets in 5 colors and gold foil paper — gold pearls, and red shimmer trim. Best of all, this bundle is available at a sensational discount, almost 30% off! Order yours today before this deal leaves town! CMTH is definitely sharing the love this month with specials! Pretty in Pink is 25% to 30% off. It’s the time to stock up. Here’s one of the cards you can get for free when you purchase the February Stamp of the Month (SOM) for $5.00 with a $50.00 purchase! It’s cut and ready for you to stamp. The bright colors of the Make Waves Paper Pack and Make Waves Sequins and Gems make these cards wonderful to send off to brightening someone’s day. I’m in love with the Make Wave’s Shimmer Trim. It’s teal color has green and blue sparkles added into the sparkle and I can’t get enough of it. Instead of using Silver Shimmer Trim, I opted to use the Make Wave’s Shimmer Trim. Look how good it looks! Thanks for stopping by to checkout my creative world. Have a sunny day! If you need some creative help, I’m here to help you out – email me: info@lindacreates.com. Happy Valentine’s Day. If you are not spending it with your favorite loved one, I hope you are planning to spend time with friends or having special day to celebrate you! Created with the Bashful Glitter Paper (on sale), this simple card sends a sweet message to a new couple for happy wishes on their special day. Pink is not really my color. Since Pretty in Pink in the special this month, I’m doing some creating with pink. The pink glitter paper along with the silver paper creates a very elegant look. With the silver paper, emboss it with the rose embossing folder. It was really bright so I took a piece of vellum and embossed it so it matched the silver paper. This softened up the look immensely and I was really pleased with the look. The sentiment is from one of the Circut Artfully Sent stamp sets. I love the this sentiment stamp set. Matting the sentiment piece on some silver gave the card just enough of the shiny bling. 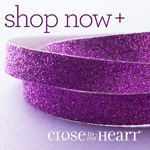 Add the Bashful Pearls (also on sale!) to finish the card off. Free Card Kit when you purchase the February SOM S1801 Bloom and Grow for $5.00 with a $50.00 purchase. I have an album of art up in the FB group. – Check it out. Join My Team in January and get a The Color of the Year Bundle . There are a few other freebies, Design Space files, and incentives offered to only my first downline. Contact me to find out. =) Check out this blog post. Thanks for stopping by to checkout my creative world. Happy wishes for you day. If you need some creative help, I’m here to help you out – email me: info@lindacreates.com. Here is a very simple card using a black and white base, a sentiment stamp, some Cricut cut butterflies, and some embellishments. The font of the sentiment stamp is nice and thick. It stands out well as the sole stamp on this card. The butterflies are from Close To My Heart’s exclusive Circut Cartridges, Artbooking and Artisty. The embellishments are from the Making Waves Sequin and Gem’s collection. The Bashful Shimmer Brush was added over the top of the Making Waves background and texture paper. This shimmers through the butterfly cut-out on top of the base. It’s very subtle bling. This card will be on the Card Buffet this Spring. Don’t forget the Pretty in Pink Sale! All things pink are on sale 25-30% off. Bundles are the best deal so don’t miss out. Some of the pink is already gone. Thanks for stopping by to checkout my creative world. Have a sunny day! It promises to be fairly warm today. Maybe we’ll see some sunny weather to dry out all that rain we’ve gotten over the last 48 hours. If you need some creative help, I’m here to help you out – email me: info@lindacreates.com.